The much buzzed about EL VY creates an inspiring album, Return to the Moon, out now via 4AD. 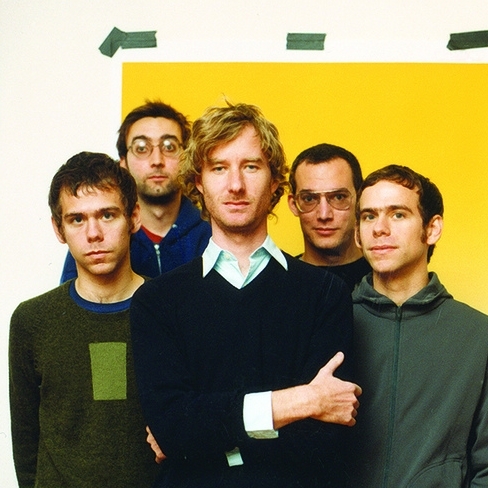 Consisting mainly of Matt Berninger of The National and Brent Knopf of Ramona Falls/Menomena, what the duo creates is something honest, heartfelt, and truly unique. Like when all high profiled musicians break off from their main band, there seems to be a bit of a back and forth skeptical reaction that travels throughout the internet. I believe it was in Pitchfork that I had read a blurb stating that Berninger and Knopf were “incompatible” as musicians. To be honest, yes, they kind of are incompatible as musicians; but on the bright side, that is exactly what makes this combination work well. The first two singles shined light on the blending of two parties; first with “Return to the Moon (Political Song for Didi Bloome to Sing, with Crescendo)” and the follow up “I’m the Man to Be.” The first singles were definitely a departure from Berninger’s deep and heavy sounds of The National, but it allowed us to see a more upbeat version of what he has to offer. Knopf on the other hand, brings a stunning element of instrumentation to the table that sometimes provides a lively vibe, and other times, a haunting and unusual sound. The mixture of these elements seem to work completely, as they weave throughout each track of the record. The biggest misconception that a listener can have going into this, is that it’s going to sound like a “National” record. It’s not. Then Berninger would just be working on National songs right now (Right? Right.). What would be the point? The voice is there, but the content isn’t always as heavy. You’re going to dance, you’re still going to get depressed as hell, and you are going to love every moment of it. Releasing a series of lyric videos directed by the multi-talented Tom Berninger, it provides multiple songs with an intimate look to capture your attention even more. Tracks such as “Happiness Missouri” bring a haunting, yet determined sound into play, while harmonies fill the album in pieces such as “Silent Ivy Hotel,” or the chilling musicianship of “Paul is Alive.” Songs such as “No Time to Crank the Sun,” offers up Matt’s signature delicate crooning, as “Need a Friend,” shares a more vibrant sound, that brings Knopf’s intricate brand of musicianship to the table. Together they create a truly special musical experience within Return to the Moon. 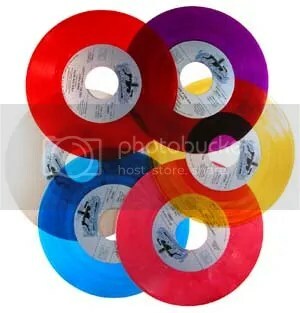 Each piece on the record is strong enough to stand on their own, which is perhaps why the group decided to release a track one at a time leading into the record. Return to the Moon is perhaps the finest record of 2015; mark my word. 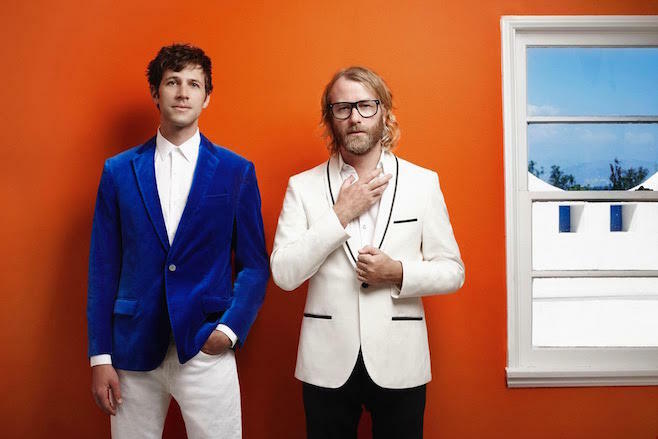 EL VY is currently on tour, recently kicking off their Eastern U.S. dates, with two stops in New York. Friday at Bowery Ballroom, and Saturday at Music Hall of Williamsburg. See you there kids. As World AIDS Day on December 1st reminded us that AIDS is still a threat and continues to kill, good news came to us from the folks of 4AD and the Red Hot Foundation. In February 2009, 4AD released Dark Was The Night, a musical collaboration conceived and produced by Aaron and Bryce Dessner of The National, and Red Hot founder John Carlin, and its sales have now raised $1,000,000 for charity! The compilation is made up of 32 exclusive tracks by Arcade Fire, Blonde Redhead, Bon Iver, Cat Power, The Decemberists, Dirty Projectors + David Byrne, Grizzly Bear, The New Pornographers, Spoon, and Sufjan Stevens… the list goes on. Each band has recommended a charity to which the funds raised will be donated. This is the 20th album put out by The Red Hot Foundation, which has been working to help fight AIDS since 1989. You can still purchase it HERE. In addition to Terrence Higgins Trust, PSI/YouthAIDS, and CHAI. We all know religion (the oldest of all establishments) is the least punk thing you can think of, but for some reason it’s been cool for a while now to perform in a church. Broken Records are doing it. Their newest video for the 6-piece Edinburgh, Scotland group’s newest single, “A Darkness Rises Up” not only has them strumming along amidst a backwash of stained-glass light, but their mom let them wear their Converse inside too. Redefining punk aside — really — “Darkness” simply chugs and pops and does all those anthemic things while having a string section provide the extra bravado you can’t get from guitar and bass. In the video, the lead singer seems tortured enough, and if you’re not convinced, there’s plenty of dilapidated scenery to further commiserate the misery. 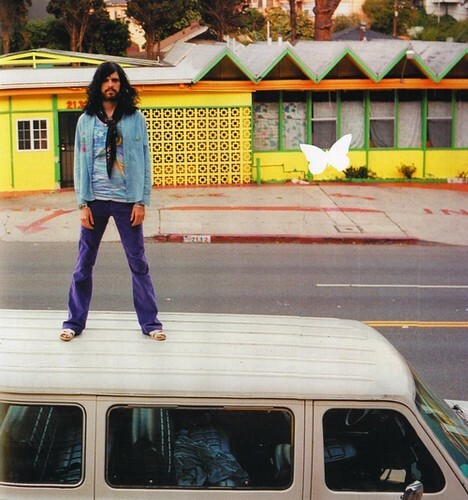 You can watch the whole thing below and should you like, remember to pick up Let Me Come Home out on 1/11/11 on 4AD. In 2007, Nik Brinkman (Over the Atlantic) and Alejandro Cohen (Lanquis) met in Los Angeles and a collaboration they call Psychic Powers was born. Being separated by thousands of miles due to Nik’s home in New Zealand, songs were worked out through internet jam sessions. 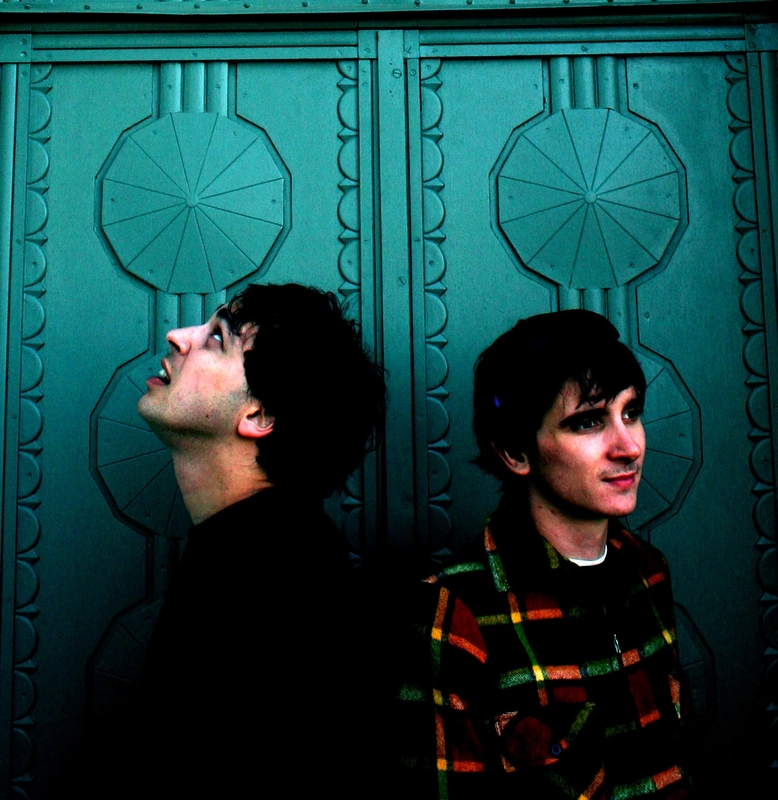 Earlier this year they met again in person to complete the full length album, Infinity. Drawing on influences from labels such as 4AD, Flying Nun, Sarah and Creation Records, the duo blends electronic pop music reminiscent of the 90’s, but with a totally modern twist. You can grab their previous EP Frozen from RCRD LBL here. The National Are Heading Everywhere on Their Upcoming Tour. This is No Joke. If you like, well, love indie rock darlings, The National, then you will have no shortage of seeing them this spring and summer. This band is literally slated to drop everywhere possible, on what looks like the longest tour known to man. Touring in support of their newest release High Violet (4AD), which hits stores in the U.S. on May 10th, it’s already a proven success. The word from The National’s label is that these aren’t even ALL of the dates the band is slated to play. There are in fact more to be announced, especially for later in the year. How do they do it? We’ll never know, but hell we’re glad that they are. They’ll be playing with everyone from Rufus Wainwright to Pavement. Check the dates below to see when you can catch the guys rolling into your town. Also be sure to jump on tickets as fast as you can. We’re sure these will be selling out fast. Listen to and download “Blood Bath Ohio,” from the new record!